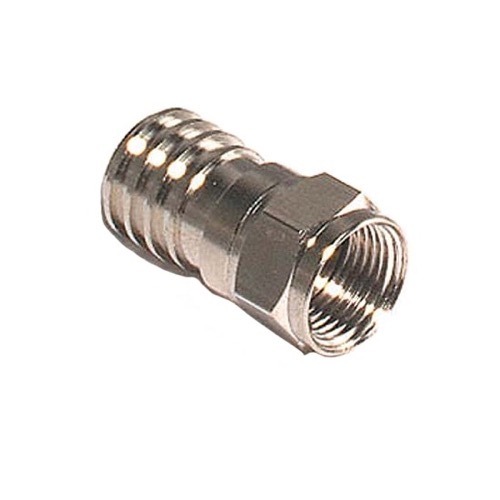 F Crimp Universal RG59 connector. Use with standard or tri-shield cable. Annealed brass 3 piece construction with an anti-corrosion nickel plated finish. Designed for a very high degree of pull strength. Sold as singles.